Sorry about a lack of recent postings. 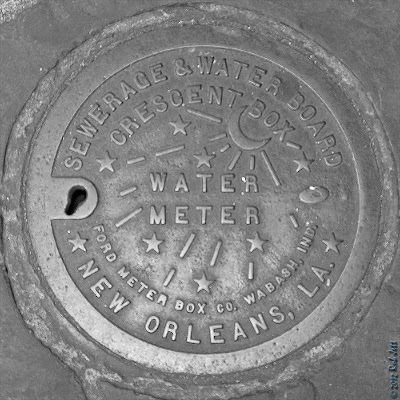 I've been taking a break down in the Big Easy and will return shortly (and most likely a few pounds heavier). The first Heartland Institute conference on climate change in 2008 had all the trappings of a major scientific conclave – minus large numbers of real scientists. Hundreds of climate change contrarians, with a few academics among them, descended into the banquet rooms of a lavish Times Square hotel for what was purported to be a reasoned debate about climate change. But as the latest Heartland climate conference opens in a Chicago hotel on Monday, the thinktank's claims to reasoned debate lie in shreds and its financial future remains uncertain. Heartland's claims to "stay above the fray" of the climate wars was exploded by a billboard campaign earlier this month comparing climate change believers to the Unabomer Ted Kaczynski, and a document sting last February that revealed a plan to spread doubt among kindergarteners on the existence of climate change. Along with the damage to its reputation, Heartland's financial future is also threatened by an exodus of corporate donors as well as key members of staff. In a fiery blogpost on the Heartland website, the organisation's president Joseph Bast admitted Heartland's defectors were "abandoning us in this moment of need". Over the last few weeks, Heartland has lost at least $825,000 in expected funds for 2012, or more than 35% of the funds its planned to raise from corporate donors, according to the campaign group Forecast the Facts, which is pushing companies to boycott the organisation. The organisation has been forced to make up those funds by taking its first publicly acknowledged donations from the coal industry. The main Illinois coal lobby is a last-minute sponsor of this week's conference, undermining Heartland's claims to operate independently of fossil fuel interests. Its entire Washington DC office, barring one staffer, decamped, taking Heartland's biggest project, involving the insurance industry, with them. Board directors quit, conference speakers cancelled at short-notice, and associates of long standing demanded Heartland remove their names from its website. The list of conference sponsors shrank by nearly half from 2010, and many of those listed sponsors are just websites operating on the rightwing fringe. "It's haemorrhaging," said Kert Davies, research director of Greenpeace, who has spent years tracking climate contrarian outfits. "Heartland's true colours finally came through, and now people are jumping ship in quick order." It does not look like Heartland is about to adopt a corrective course of action. In his post, Bast defended the ads, writing: "Our billboard was factual: the Unabomber was motivated by concern over man-made global warming to do the terrible crimes he committed." He went on to describe climate scientist Michael Mann and activist Bill McKibben as "madmen". The public unravelling of Heartland began last February when the scientist Peter Gleick lied to obtain highly sensitive materials, including a list of donors. The publicity around the donors' list made it difficult for companies with public commitment to sustainability, such as the General Motors Foundation, to continue funding Heartland. The GM Foundation soon announced it was ending its support of $15,000 a year. But what had been a gradual collapse gathered pace when Heartland advertised its climate conference with a billboard on a Chicago expressway comparing believers in climate science to the Unabomber. The slow trickle of departing corporate donors turned into a gusher. Even Heartland insiders, such as Eli Lehrer, who headed the organisation's Washington group, found the billboard too extreme. Lehrer, who headed the biggest project within Heartland, on insurance, immediately announced his departure along with six other staff. "The ad was ill advised," he said. "I'm a free-market conservative with a long rightwing resumé and most, if not all, of my team fits the same description and of us found it very problematic. Staying with Heartland was simply not workable in the wake of this billboard." Heartland took down the billboard within 24 hours, but by then the ad had gone viral. Lehrer, who maintains the split was amicable, said the billboard had undermined Heartland's claims to be a serious conservative thinktank. "It didn't reflect the seriousness which I want to bring to public policy," Lehrer said in the telephone interview. "As somebody who deals mostly with insurance I believe all risk have to be taken seriously and there certainly are some important climate and global warming related risks that must be taken account of in the insurance market. Trivialising them is not consistent with free-market thought. Suggesting they are only thought about by people who are crazy is not good for the free market." Other Heartland allies came to a similar conclusion. In a letter to Heartland announcing he was backing out from the conference, Ross McKitrick, a Canadian economist wrote: "You can not simultaneously say that you want to promote a debate while equating the other side to terrorists and mass murderers." A number of other experts meanwhile began cutting their ties with Heartland, according to a tally kept by a Canadian blogger BigCityLiberal. Meanwhile, there was growing anger that Bast failed to consult with colleagues before ordering up the Kaczynski attack ads. Four board members told the Guardian they had not been consulted in advance about the ad. "I did not have prior approval of the billboard and was in favor of discontinuing the billboard when I was made aware of it," Jeff Judson, a Texas lobbyist and board member wrote in an email. Could the turmoil and discontent at Heartland eventually prove its undoing? Campaigners would certainly hope so. "We are watching the consequences of organisation that acts quite randomly and that is actually an extremist organisation in the end," said Davies. "They are not built to be at the hump of the climate denial movement." But while more mainstream corporate entities are deserting Heartland, others are stepping into the breach, including the coal lobby and conservative groups such as the Heritage Foundation. Both the Illinois Coal Association and Heritage stepped in to fund this week's conference, after other corporate donors began backing out in protest at the offensive Kaczynski ad. Meanwhile, a Greenpeace analysis of the other smaller conference sponsors suggests they have collectively received $5m in funds from Exxon and other oil companies. The Coal Association and Heritage were not listed on the original conference sponsor list, but appeared to come in about a week or so after the appearance of the offending Kaczynski ad. Phil Gonet, the chief lobbyist for the 20 coal companies in the association, said he had no qualms about stepping in to fund the Heartland conference. "We support the work they are doing and so we thought we would finally make a contribution to the organisation," he said, calling criticism of the ad "moot", "pointless" and "absurd". Gonet went on: "I made a contribution mainly in support of a conference that is designed to make balanced information available to the public on the issue of global warming … In general, the message of the Heartland Institute is something the Illinois Coal Association supports." Every Saturday, 12 – 1:30 p.m.
Saturday, June 2, 12 noon to 2:00 p.m.
Past and present blend in the Conference House Park where history stretches back thousands of years with the seasonal occupation of the Lenape people and hundreds of years of the Dutch and English habitation. We’ll observe evidence of the human occupation of the area, observe local geology and discover what the natural and unnatural debris at the high tide line reveals. Meet at the parking lot at the end of Hylan Blvd. For more details call Clay Wollney at 718-869-6327. Sunday, June 3, 2012, 12 Noon to 3:00 p.m. Strenuous closed circuit 4-mile hike in the middle of the Greenbelt through Buck's Hollow and Heyerdahl Hill. This loop trail begins and ends at Historic Richmond Town and St. Patrick's Place off Richmond Road. Bring beverage, snacks and wear comfortable, waterproof shoes. One stream crossing. We go in all weather. Contact Hillel Lofaso at (718) 477-0545 for more information. With the songbird migration pretty much at a close, I decided to check along the coast for migrating shorebirds. 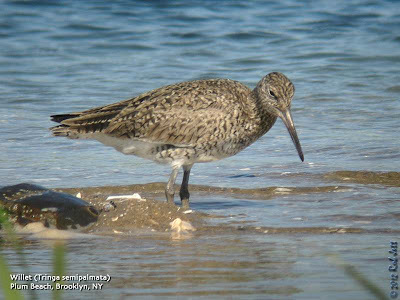 This Willet was feeding on horseshoe crab eggs at Brooklyn's Plum Beach. 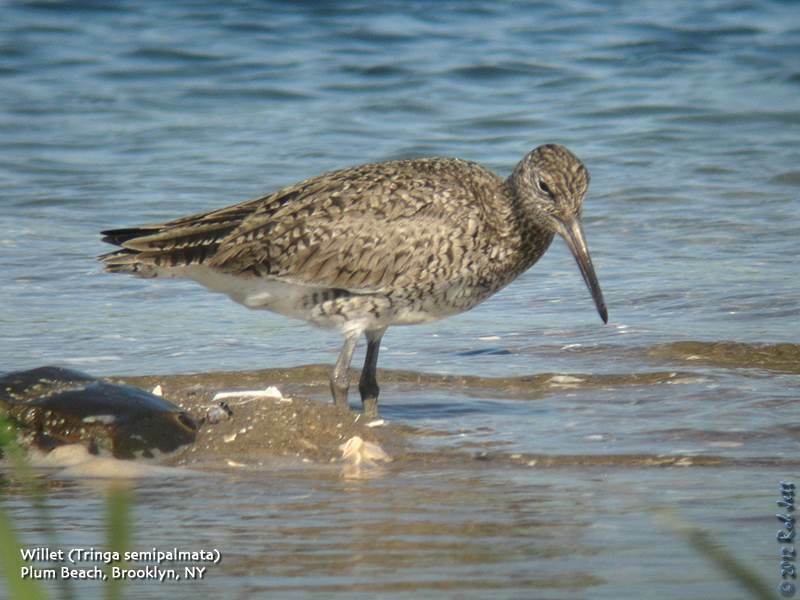 While many of these large shorebirds will only stop off briefly in Brooklyn on their way to nesting grounds as far North as Newfoundland, some will actually breed locally. "Tucked away in the greenery of one of the busiest cities in the world, a small group of birders sets their sights on warblers, vireos, orioles, Monk parakeets and many other unique species. Led by nature and bird enthusiast Rob Jett, these birders of New York City—home to about eight million people and the country’s tallest skyscrapers—see many species that birders in rural areas only dream about." Participants on this Wednesday's tour of Green-Wood Cemetery were rewarded with an unexpected fallout of late-Spring migrants. Given the previous weekend's scarcity of birds, I was anticipating a very short species list. A couple visiting from California were delighted with the outcome as they went home with 8 life species. On Saturday my birding pals and I were grumbling about the dearth of birds around Brooklyn and how it seemed that Spring migration had abruptly ended. As I began walking up the hill inside the entrance of Green-Wood Cemetery on Wednesday morning, however, there appeared to be at least one last Northbound push of birds moving through the area. Several Blackpoll Warblers were singing their high-pitched, squeaky wheel song. A monotonous Red-eyed Vireo vocalized from the same tree. Then I spotted a Black-throated Green Warbler, followed by a Northern Parula. We were only about 50 yards from the cemetery entrance and already located our first mixed songbird flock within a single oak tree. As we passed the DeWitt Clinton monument I heard a Scarlet Tanager singing from somewhere near Fern Avenue and decided to follow it to the bird. Getting closer I noticed the burry song of a Yellow-throated Vireo. These lemon-yellow birds are scarce around New York City on migration, so I decided to give up on the tanager and try to find the vireo. He was singing from somewhere near the top of a hickory tree and while scanning for the source of the song noticed several other songbirds moving within the canopy. I walked up the hillside towards Warrior Path to get a better perspective of the tops of a stand of oaks and hickories. The vireo continued to elude our bins, but the trees were loaded with other birds. Feeding within the tree's dangling catkins were Eastern Wood-Pewee, Warbling Vireo, Red-eyed Vireo, American Redstart, Northern Parula, Magnolia Warbler, Blackburnian Warbler, Blackpoll Warbler, Black-throated Green Warbler and Canada Warbler! Eye-level views of the blackburnian's flame-colored throat and face elicited a spontaneous chorus of "oos" and "aahs". Throughout the morning we continued to locate scattered pockets of songbird activity, primarily within the flowering hickory trees. One interesting observation on Wednesday was of a calling White-breasted Nuthatch. I've never located a nuthatch nest in Green-Wood Cemetery, but the presence of one at this date indicates that perhaps they are actually breeding here. Next week I'm taking a short break so there won't be a Green-Wood tour on May 30th. I'll be resuming on June 6th. Hope to see you then. Scientists from Yale and the University of Colorado are creating a world-wide digital map of biodiversity called the "Map of Life". Welcome to the Map of Life first demonstration release! 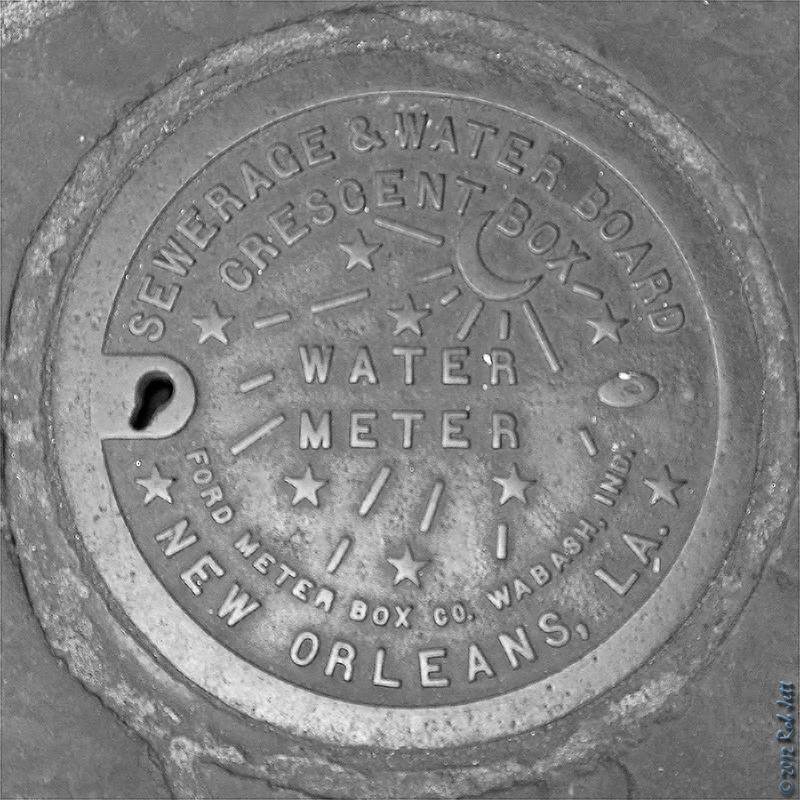 - Display expert range maps, point occurrence records, records from study areas such as reserves and larger regions. These are shown as layers on maps, and a layer control widget allows you to adjust ordering, visibility, etc . - Retrieve a list of species for the vicinity of any location worldwide using the species list tool. Simply set search radius and group of interest, and right click (control-click on Macs) your mouse button on a point of the map. This is a first demo public release, so please let us know if there are any issues or problems. The demo will work on all current browsers but we cannot guarantee backwards compatibility. Two short videos demonstrate taxonomic searches and the species list tool. - Calculate, display and download gridded summary patterns of e.g. species richness, endemism, etc. The mid to long term goal is a modeling framework including environmental data to produce more refined, quantitative estimates of of current-day and projected future species distributions. We appreciate your feedback on all aspects of Map of Life, especially how we can improve the experience of using the application, and the highest valued next steps based on your needs. Please feel free to click the “Feedback” tab in the application and let us know your thoughts. 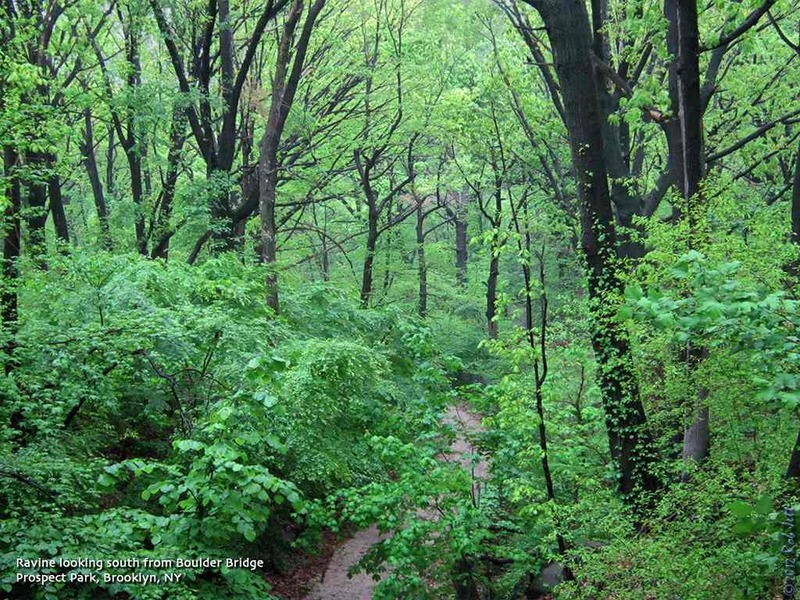 NOTE: Extensive walking and high ground with slope paths especially in Inwood Park. Fort Tryon was designed by Prospect Park's own Frederick Olmstead. Leave from Sheepshead Bay, Brooklyn aboard the "Golden Sunshine" for a narrated tour of Jamaica Bay. Learn about the history, ecology, wildlife and management of the refuge and see egrets, herons, osprey, peregrine falcon, terns, shorebirds and waterfowl. Cost: $55 includes tour, wine & cheese, fruit, drink, snacks. Call (718) 318-9344; e-mail: donriepe [AT] gmail.com. 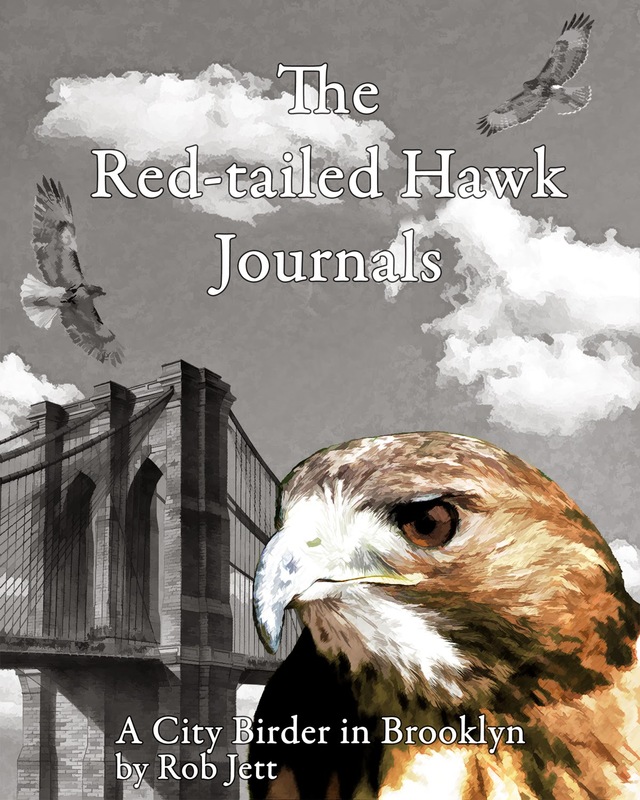 (with Gateway NRA and NYC Audubon). 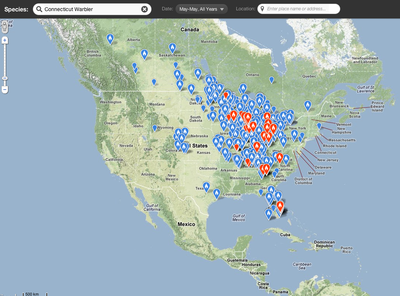 Cornell's eBird website has released their bird migration forecasts for this week. I've excerpted the sections relevant to folks here in the northeast, but you can read the entire forecast here. While team eBird is in Alaska, our April eBirder of the month, Benjamin Van Doren, is our guest BirdCaster. Benjamin has a talent for understanding migration, developing an ambitious project to gather morning flight data from dozens birdwatchers in the Northeast that was recognized with a 5th place in the prestigious Intel Science Talent Search. Take it away, Benjamin! Many areas of the West will experience light to moderate movements, especially the southeastern portion (New Mexico and environs), when not dealing with precipitation. Strong, far-reaching southerly flow over the Great Plains will spur moderate to heavy passage, interrupted by precipitation with potential to put down migrating birds. The Upper Midwest will also see favorable conditions punctuated by rain, as light to moderate movements continue to the east when not hampered by precipitation. Texas and some parts of the western Gulf Coast will see conditions favorable for movement, but scattered precipitation and subpar winds will slow migrants’ tracks through the Southeast, at least until late next week. Western Sandpiper is one of the most abundant shorebirds in North America, belonging to the assemblage of small shorebirds frequently referred to as "Peeps". This week, Western Sandpipers will be streaming north toward their breeding grounds, many having already arrived at staging areas in Alaska. Western Sandpiper is a common migrant along the Pacific Flyway in spring and fall, but this species migrates on a broader front in fall, occurring throughout the continent and even to the East Coast. 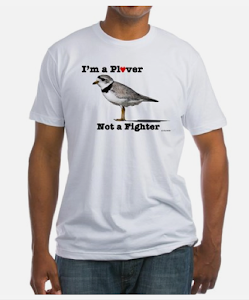 It winters along the Southeast and Gulf Coasts, stretching south to Panama and northern South America (unlike the similar Semipalmated Sandpiper, which winters mainly in South America and the Caribbean). Spring migration is more focused for Western Sandpiper, however, and the species is exceptionally rare in the Northeast at that time. Small numbers move mainly toward the northwest from wintering areas in the Southeast and Caribbean, bypassing the Northeast altogether. Indeed, finding a Western Sandpiper among the hoards of Semipalmated Sandpipers moving through the Northeast is a rare treat in spring. This week, look for Western Sandpipers along the Pacific Coast, and across the interior of the continent. The period will begin with high pressure covering the eastern seaboard as a storm tracks from the northern plains toward Hudson Bay. This will open up a period of south winds up through the Midwest to the Great Lakes. Farther east, winds will remain light under high pressure until a weak cold front crosses the East early next week. This front will be followed by another high pressure and light winds. Across the West, the period will begin tranquil as high pressure dominates. But a storm system will come onshore in the Pacific Northwest early next week and eventually work into the Plains by the end of the week, leading to another strong period of south winds from the Gulf to the northern Plains and Great Lakes. Brooklyn's Green-Wood Cemetery was slightly quieter for Wednesday's tour compared to last week. I tallied 13 species of warbler, with overall abundance lower that over the previous few days - although the early fog and drizzle could have been a factor. Still haven't seen much in the way of flycatchers other than Great Crested and kingbirds. One interesting observation was of an INDIGO BUNTING continuing to sing from the woodland edge near the Dell Water. He has been in that spot for 2 weeks now. It would be extremely rare if he found a mate and nested in the cemetery. Also of note is the arrival of Cedar Waxwings, seen and heard in good numbers. 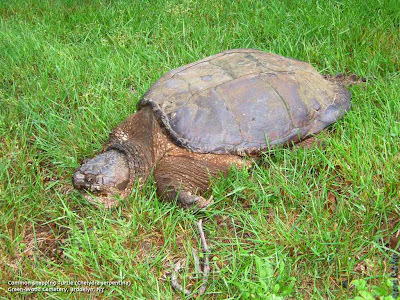 On a non-avian note, it appears to be snapping turtle breeding season as some of these huge, prehistoric-looking reptiles have dragged themselves out of the ponds in search of soft earth to lay eggs. I spotted one on a hillside about 1/4 mile from the closest body of water. She looked exhausted and I considered giving her a hand down to the Crescent Water, then realized that she probably would have taken both. American Robins around New York City breed early and often. While some birds have yet to nest or are still sitting on eggs, many robins have already fledged their first brood and are working on a second. It is not unusually for them to raise three broods each year. I found this egg shell resting on a patch of Yellow Wood Sorrel in Green-Wood Cemetery. Note: there is no trip leader for this walk; instead, birders will gather and lead as a group. Meet at the Jamaica Bay Refuge visitor center. Hike along shoreline to view the horseshoe crabs and shorebirds. Leaders; Mickey Cohen, Don Riepe. Free ( with NYC Audubon). Call (718) 318-9344; or e-mail: Donriepe [AT] gmail.com for reservation. Description: The Liz Christy Bowery Houston Garden was established in 1973; making it one of the first community gardens in the country. In 1985 L. Brandon Krall initiated a native plant habitat and collection in the large shaded area beneath the landmark dawn redwood tree. May is an excellent time to visit LCBH Garden to see the early blooming wildflowers: Virginia bluebells, Dutchman's breeches, trillium, may apples, pinkster azaleas, native ferns and many other delightful specimens from the range of northeastern United States. Description: Explore how the shapes and colors of flowering plants are related to the pollinators they attract and how maintenance of a vibrant and diverse ecosystem includes keeping ‘pests’ as well as butterflies. After all, a world without ‘pests’ would also be a world without chocolate. The walk should help participants create an insect-friendly sustainable garden. We will see native flowers and a variety of bees, butterflies, flies and beetles. In addition, there will be a small collection of insects typical of this region to look at. Location: Meet at the parking lot of the Toys R Us, 2875 Flatbush Avenue, Brooklyn. Description: Four Sparrow Marsh in Mill Basin, Brooklyn is one of the last remaining salt marshes on the north shore of Jamaica Bay. The marsh provides critical filtration services for the bay and is habitat for numerous nesting and migratory bird species. Consisting of mudflat, salt marsh, upland meadow, and a sprinkling of deciduous trees, the Four Sparrow landscape hosts a mixture of native and invasive plant species. Wear waterproof boots, hat, bug spray and sun-screen and be prepared to bushwack. Saturday, May 19, 2012, 10:00 a.m. to 2:00 p.m.
Meet in the Nevada Avenue parking lot at High Rock Park. We will join other volunteers for It’s My Parks Day removing invasive plants and maintaining the surrounding trails. After the work session (our 191st consecutive monthly workshop) we will take a short walk over nearby trails. Saturday, May 19, 2012, 10:00 a.m. to 11:00 a.m. Explore one of NYC’s newest parks with Alan Benimof, professor of geology, and discover Early Jurassic Palisades Diabase and an extraordinary xenolith of Lockatong Argillite that melted around its margins to produce a trondhjemite. Also see evidence of past glaciation while you walk the exposed rocks of the Graniteville Quarry. Meet along Forest Avenue at the intersection of Simonson Avenue. Sunday, May 20, 2012, 9:45a.m. to 3:45p.m. Come join others who enjoy a day outdoors. It is ten moderate miles at a comfortable pace. Meet at the beginning of the Blue Line Trail at the end of Staten Island Boulevard, off Ocean Terrace by the Sunnyside campus of Petrides complex. Bring lunch and beverage and sturdy walking shoes. Dress comfortably. We go in all weather. Come see what the spring woodland has to offer; migrant birds, woodland flowers and a canopy of green. For more information call Dominick Durso at 917-478-7607 or Don Recklies at 718-768-9036. High pressure will dominate much of the country during this forecast period. The West will experience widespread light to moderate migration this week, as high pressure and warmer temperatures build in across most of the region. Moderate to heavy movements will occur in the Great Plains, despite scattered precipitation that may inhibit movements locally. Despite largely unfavorable winds aloft for much of the period, most areas of the Upper Midwest and Northeast will experience moderate to heavy movements this week; the threat of scattered precipitation will diminish movements in some locations. The Gulf Coast and Southeast should see an influx of trans-Gulf migrants in the western Gulf early in the weekend, in the eastern Gulf early next week, and generally widespread moderate to heavy movements inland, despite some periods of unfavorable winds aloft and the threat of scattered precipitation early in the period. Birders in coastal areas should watch for potential fallouts through the early portion of the week. For many birders in the East, spring migration is nearly synonymous with looking for warblers. Next week should continue to offer excitement throughout North America. 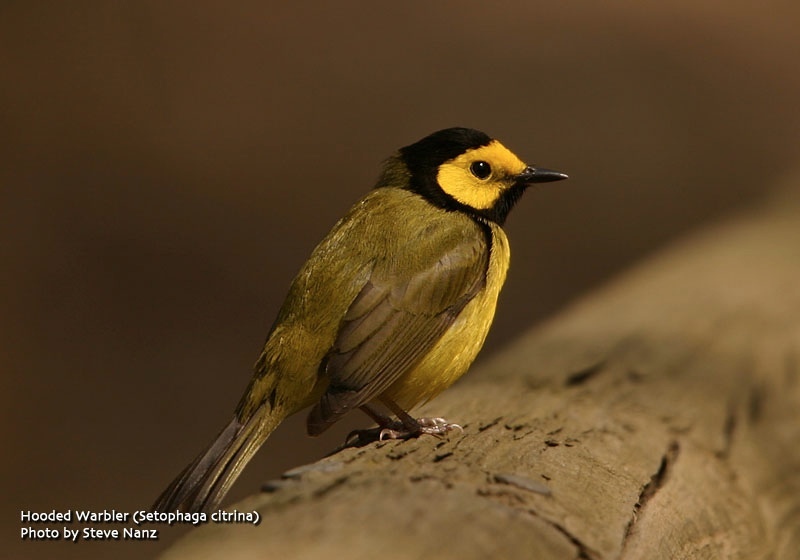 Throughout much of the Great Plains, Midwest, and Northeast, this next week promises to offer some of the best warbler watching of the spring with a wide variety of species and large numbers of singing males. By contrast, migration along the Gulf Coast will have slowed, with most migrants being females or 1st-spring birds. That said, there have been very good migration days even this late, including a fair number of rarities. While the best migration days may be past, this is still an excellent time to go birding. The Connecticut Warbler is among the most enigmatic and highly sought warblers in North America. This species winters in South America and has a fairly narrow migration window. Even in Florida, this species is rarely noted before May (and it is very rare west of Florida along the Gulf Coast). While finding a Connecticut Warbler anywhere is always a treat, we expect a fair number of individuals to be on the move this week from Tennessee northward to Minnesota, Wisconsin, and Ohio; by late in the week birds are likely to appear in North Dakota and Ontario. This species is often best detected by song, and otherwise often remains hidden. When not signing, Connecticut Warblers are more likely to be found at isolated migrant traps, particularly in eastern North Dakota and Minnesota. Connecticut Warbler migration map, May (all years). Note the presumed arrival in Florida after a trans-Caribbean flight from South America. Then quick movement north through the Midwest. Greetings. This is the New York Rare Bird Alert for Friday, May 11th 2012 at 7pm. The highlights of today's tape are WHITE-FACED IBIS, SUMMER TANAGER, BLUE GROSBEAK, PROTHONOTARY WARBLER, YELLOW-THROATED WARBLER and many Spring migrants. The adult WHITE-FACED IBIS at Jamaica Bay Wildlife Refuge was rather accommodating last weekend spending a decent amount of time along the south shore of the West Pond both with and without accompanying Glossy Ibis and was doing the same routine early in the week. Watch for this nicely marked bird along the south shore anywhere from the southwest corner along the entire south edge. If not there the bird had previously been seen at the north end of the West Pond or in the marsh north of the pond. Also at the bay Saturday was one of several OLIVE-SIDED FLYCATCHERS arriving in the area last weekend plus BLACK-BILLED CUCKOO and a good selection of herons. After a decent weekend, poor weather early in the week finally gave way to better conditions and brought good numbers of migrants into the area Thursday and today. 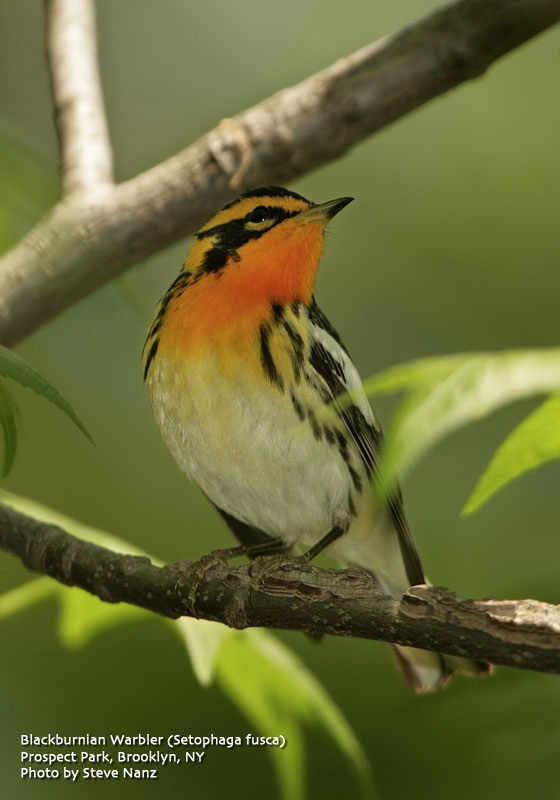 As our regional barometer for migration Central Park noted over 30 species of warblers during the week. The more unusual featured a PROTHONOTARY WARBLER in the Ramble Thursday and a KENTUCKY WARBLER noted irregularly at the north end to Thursday along with a CERULEAN WARBLER Tuesday and the first of the later arriving MOURNING WARBLERS on Thursday. Both cuckoos have occurred in the park and flycatchers are on the increase with OLIVE-SIDED FLYCATCHER and a few species of empidonax including YELLOW-BELLIED FLYCATCHER adding to the mix. GRAY-CHEEKED THRUSH has also begun to show up joining good numbers of SWAINSON'S THRUSH and VEERYS now present. A SUMMER TANAGER has been lingering in the vicinity of the Ramble this week and a second was reported near West 65th Street Thursday. Sparrows have included LINCOLN'S SPARROW and WHITE-CROWNED SPARROW and some early morning BOBOLINKS have been noted. 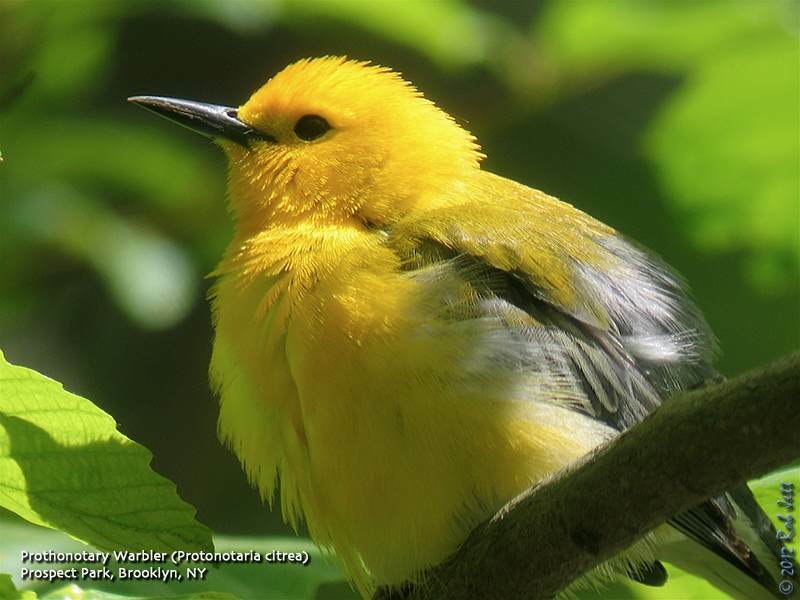 The PROTHONOTARY WARBLER in Bryant Park amazingly was still being reported today as it drifts throughout the park and a nice collection of birds included a HOODED WARBLER Thursday. The YELLOW-THROATED WARBLER was reported Thursday from Fort Tryon Park in northern Manhattan while Brooklyn's Prospect Park recorded a SUMMER TANAGER Tuesday and MOURNING WARBLER today with PROTHONOTARY and HOODED WARBLERS in nearby Green-wood Cemetery on Thursday. 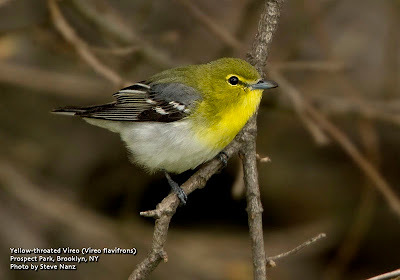 On Staten Island, Clove Lakes Park had an early MOURNING WARBLER back on the 4th followed by SUMMER TANAGER and OLIVE-SIDED FLYCATCHER Thursday. Last Saturday a KENTUCKY WARBLER was found along the Riis Park / Fort Tilden border and a BLUE GROSBEAK was spotted at Floyd Bennett Field Sunday. A CERULEAN WARBLER was among the birds visiting the waterhole at Forest Park in Queens last Sunday. Out at Jones Beach West End a SUMMER TANAGER and a YELLOW-BREASTED CHAT were uncovered around the Turnaround Grove last Saturday and stayed at least through Sunday. Two GULL-BILLED TERNS on the Coast Guard sandbar Saturday increased to 5 by Sunday. Also on Saturday several species of flycatchers including OLIVE-SIDED FLYCATCHER and EASTERN WOOD-PEWEE were noted chasing and devouring some of the abundant Red Admiral butterflies. Lots of RED KNOTS, BLACK SKIMMERS and some LEAST TERNS along with numerous COMMON TERNS were also present around Jones Inlet. Six LESSER BLACK-BACKED GULLS were in the West End 2 parking lot Saturday afternoon. A male SUMMER TANAGER was spotted again at Valley Stream State Park on Sunday. A KENTUCKY WARBLER appeared at Robert Moses State Park last Saturday, a YELLOW-BREASTED CHAT on Sunday and seawatching from field 2 there on Tuesday produced a small number of PARASITIC JAEGERS. Three other PARASITICS were noted off Main Beach in East Hampton Tuesday. The CATTLE EGRET continues at the Mecox Dairy off Mecox Road near Halsey Lane in Bridgehampton. Other interesting birds on eastern Long Island featured a BLACK VULTURE Sunday and Monday over East Lake Drive in Montauk, a late BLACK-LEGGED KITTIWAKE at Mecox Wednesday, a KENTUCKY WARBLER in Southold Sunday and Monday and at Montauk Point a SUMMER TANAGER at Camp Hero and a BLUE GROSBEAK at Turtle Cove both on Sunday. 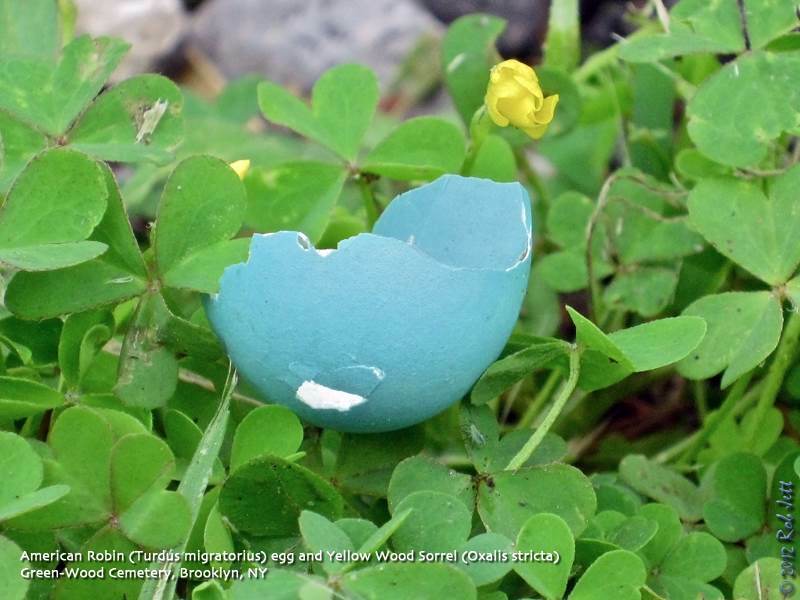 A fallout on Great Gull Island featured a KENTUCKY WARBLER last Saturday and a BLUE GROSBEAK was on the Stonybrook University campus Monday and Tuesday. Even if you've never paid any attention to butterflies, no doubt this Spring you have noticed lots of these lovely Red Admiral butterflies fluttering about. There has been such a huge irruption this year that even the mainstream media has given it coverage. Some attribute the unusual abundance to this past Winter's mild weather. Others say that it is a regular 10 year cycle. Either way, there are so many around that even the birds have noticed and many are feasting on them. The morning began with overcast skies and strong northwest winds, not ideal conditions for finding migrating songbirds. Within the first hour of wandering Green-Wood Cemetery, however, we spotted several hotspots of activity and one very special bird. As we walked through the cemetery I tried to stick to areas where I knew there would be stands of oak trees. The oak's flowers attract insects and the insects attract warblers. While it wasn't as birdy and the past weekend, we did find some pockets of warblers. In addition, orioles were common and sang from treetops throughout the cemetery. We also heard then spotted a few Scarlet Tanagers. A cool, non-avian sighting was of a fat groundhog waddling along the hillside near the Dewitt Clinton monument. The most exciting observation of the morning occurred after we descended a steep pathway down to the Dell Water. A bright yellow songbird was spotted foraging in the low branches of a Black Cherry tree at the edge of the pond. I put my bins on it expecting to see the relatively common Yellow Warbler. My heart jumped when I saw, instead, a Prothonotary Warbler. This golden yellow warbler is usually found south of NYC, although each Spring a few usually overshoot and end up in our local parks. 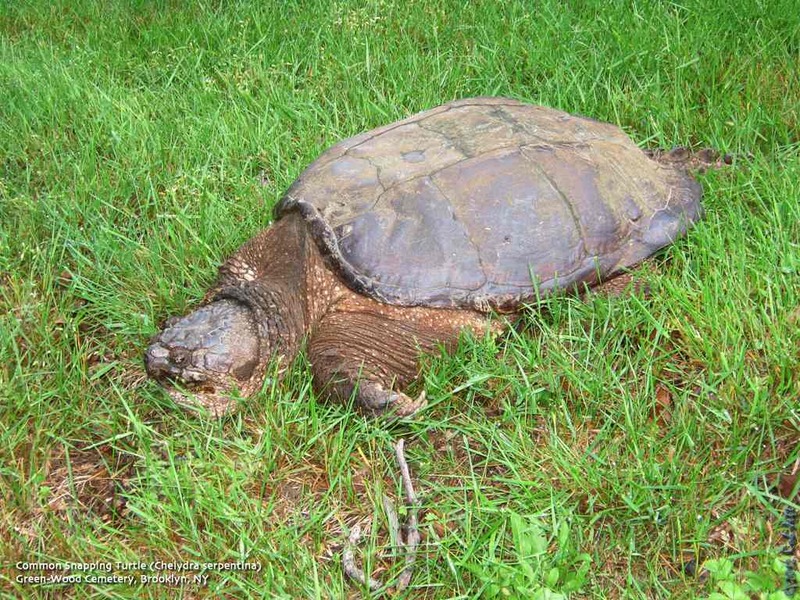 The photo here is of an individual that was in Prospect Park a few years back. I'd been told that the word "prothonotary" had its roots in the Catholic church and referred to the yellow attire worn by a certain sect. The wikipedia entry for the word doesn't seem to follow that explanation. Most information I've found refer to the clerk position in the church, so maybe this warbler is good with numbers. As of 6:50am this morning the rain was coming down pretty hard in Brooklyn so I decided to cancel Wednesday's Green-Wood Cemetery trip. I've rescheduled it for tomorrow, Thursday, May 10th. Like the idea of eating seasonal produce grown on regional farms but wonder what's in season near you this week? Use these easy search tools to find out. The maps to nearby farmers' markets even include directions by car, bike, walking and public transit. Follow the links to learn more about individual food items including great recipes with which to prepare them. Want to bring Eat Local shopping with you? Download the new NRDC Eat Local app from the iTunes store! Over the past weekend Heydi, Paige and I scoured two of Brooklyn's birding hotspots for migrating birds. It was probably the best weekend for birding thus far this Spring. Saturday's weather forecasts must have been for a different Brooklyn. Reading "partly sunny" and "70 degrees" off of our phones for the current conditions while shivering and seeking shelter from the rain under a spruce tree was a little disheartening. Poor lighting and mostly taciturn songbirds also made for a challenging day, but our perseverance was ultimately rewarded with many good birds. Had it not been for our ear-birding skills, many birds would have gone uncounted. We started the morning in Prospect Park, then worked our way over to Green-Wood Cemetery after a brief coffee break. Yellow-rumped Warbler were still the warbler of the day, but several new species had joined the soundscape including Ovenbird, Worm-eating Warbler, Blue-winged Warbler, Nashville Warbler, Magnolia Warbler, Chestnut-sided Warbler, Black-throated Blue Warbler and Canada Warbler. Other non-warbler vocalists that were heard throughout our travels were Eastern Wood-Pewee, Eastern Kingbird, Red-eyed Vireo, Wood Thrush, Scarlet Tanager, Rose-breasted Grosbeak, Indigo Bunting and Baltimore Oriole. Orioles seemed to have arrived by the busload and their rich, liquid whistles can now be heard nearly everywhere. At Green-Wood Cemetery we saw our first Ruby-throated Hummingbird of the season when it stopped to rest within a Black Cherry tree next to the Dell Water. On Sunday the sky cleared and the songsters found their voices. At around 6:10am, as we approached the Rose(less) Garden of Prospect Park I heard a song that brought a smile to my face. The loud, clear "ta-wit ta-wit ta-wit tee-yo" whistle of a Hooded Warbler was coming from somewhere near the western edge of the narrow, grassy field where it meets a stretch of woods. I would have been content to just listen, but we spent a few minutes searching for the source, for the full "aahhh" effect. It was a great way to start the morning. As the morning progressed we found several small areas of mixed flock activity in Prospect Park; The Midwood, the edge of the Nethermead Meadow and Lookout Hill. One of the more interesting observations occurred while we were checking the compost area north of the zoo. During a quiet moment we all suddenly heard a familiar sound and gave each other quizzical looks. I realized it was the call of a Common Loon and looked upward in time to see three loons heading north. For me, Common Loon vocalizations evoke images of summer time and clear, freshwater lakes in New England. We were pretty beat having spent 5 hours birding, but after a short lunch break outside of the park, we returned for a few more hours of abuse. My friend Steve had reported a Yellow-throated Vireo in the Ravine, so we headed to the footpath just passed the Fallkill waterfall. There was a fair amount of bird activity in the mostly oak canopy, but no yellow-throated. We ran into Rob Bate, who also came looking for the vireo. After a few minutes of looking I spotted what I first thought was a female Indigo Bunting landing on a dead snag in a maple tree. The bird seemed very large, however, with a conspicuous rusty wing covert. When it flew closer to us it became obvious that it was the similar, but much larger Blue Grosbeak. 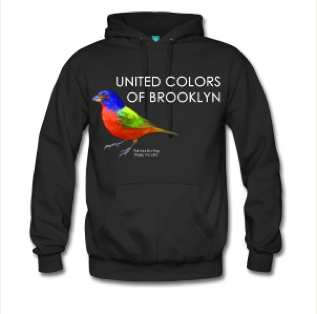 This is a very good bird to find in Brooklyn. We hung around the Ravine for another 30 minutes or so and eventually relocated the Yellow-throated Vireo. He revealed his location high in the deciduous tree cover with his lazy, burry, singsong, "three A, THREE a". Our total species count by the end of the weekend was 90. Twenty-one of those birds were warblers. Twelve were new for me for the year. 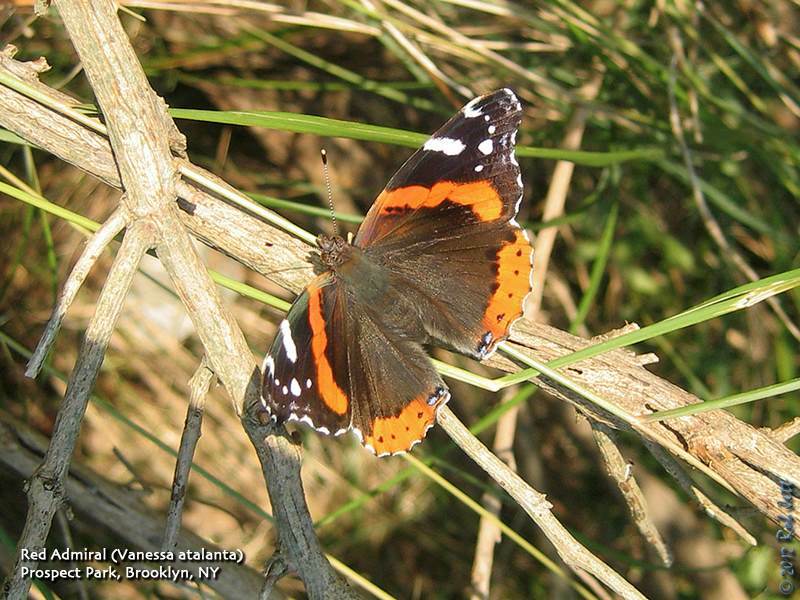 During the month of April I saw the biggest increase in my Brooklyn species list for the year. This doesn't include the month of January, of course, when every species is "new". Of the 48 bird species that I added last month there were few surprises and several misses. As expected, the month started slowly, with only the earliest north-bound migrants trickling into the NYC area. By mid-month the pace quickened with the typically early arriving warblers, such as, Black-and-White Warbler seen. Possibly the biggest surprise was spotting a Common Merganser flying low over Nelly's Lawn in Prospect Park. This isn't a waterfowl species that I see every year in Brooklyn, in fact, I've probably only observed this large duck once in the past 5 years. The end of the month saw the first relatively big push of neotropic migrants and I tallied 12 new species in a single morning at Prospect Park. Of those birds five were wood-warblers; Ovenbird, Worm-eating Warbler, Blue-winged Warbler, Blackpoll Warbler and Black-throated Blue Warbler. This was just a preview of what we'll be experiencing during the month that all New York birdwatchers dream about - MAY!